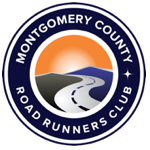 The Lifetime Achievement Award is given to a person whom the board believes exemplifies the spirit of Montgomery Road Runners Club and who has made significant contributions to the functioning of the Club. To be considered, a person must have been a member for at least five years at the time of nomination and must have volunteered at and participated in club activities regularly during that time. The recipient of this award should be a member who is active in all aspects of the club, from volunteering at races to taking on significant leadership positions. This person’s contributions must be significant and notable. Any member may nominate another member for the Lifetime Achievement Award. The Board must make the selection with a unanimous vote.